A stunning and well-designed basement starts with a functional remodeling design plan whether that be a diy home wine cellar, mancave or theater. This article focusses diy home design ideas and important do it yourself tips to help you finalize your remodeling plan with our online photo gallery, and 3D home software. A stylish strategy is to frame the basement layout with multi-functional rooms. 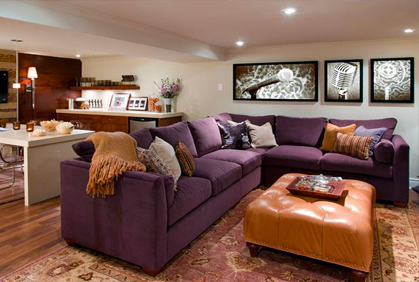 A house basement not only increases the value of your home, but also can have many purposes ranging from entertaining guests, diy home theater room, or a safe playroom for the family. Spend some time accurately planning the framed walls and you can make the basement accommodate many functional activities. Check out our finished basement ideas and photo gallery containing diy makeover ideas including an entertaining wet bar, recreational room, home movie theater, living room, bedroom designs, and an office study. Most times, letting in natural sunlight is the major obstacle for a finish basement design, but is a must towards to save money on electricity. To help let in sun light, we recommend adding glass fixtures on windows and possibly doors instead of solid wood. For those dark sections that are difficult to allow daylight, consider building into a movie theater area. If your basement plumbing allows it, the best room to build to add value to your home is a bathroom, full or half sized. Many brands of software allow you to enter your minimum and maximum budget threshold to ensure the recommended designs are cost feasible for your planned project. The free design programs also often include some of the best interior decorating ideas. 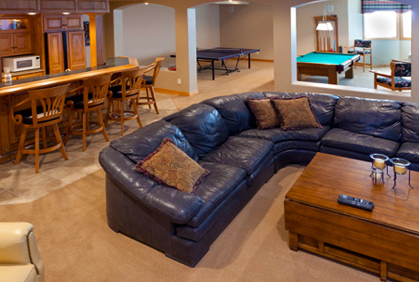 Once you’re done finishing a basement, it can become one of your favorite recreational and entertaining areas of your home renovation. 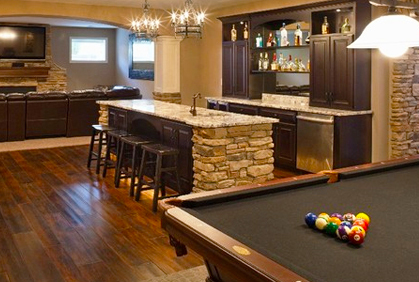 With that in mind, learning how to build a basement wet bar design makes a lot of sense for those fun nights. Spend some time with your family and review our basement wet bar photos with house decorating ideas to help you get some practical design ideas for your custom layout needs. 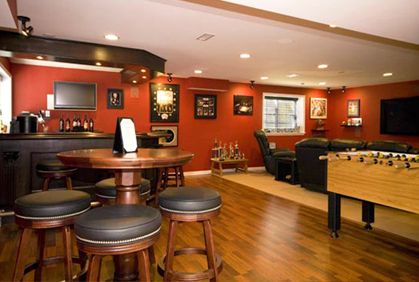 Learning how to build a bar in finished basements can be easy and definitely a feasible do-it-yourself remodeling project. 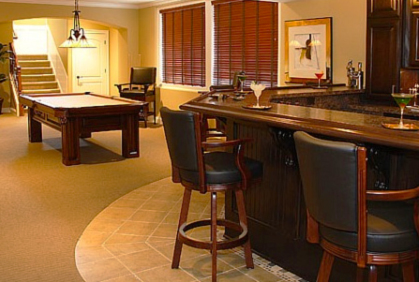 You have various home design building options for a basement bar makeover. The easiest to manage on your own is the straight bar model, giving you plenty of room to customize for your needs. If you have a small basement floor layout, check out designs for L-shaped and portable bars for homes. As a do-it-yourself home remodeling project, the question on everyone’s mind is, how much does it cost to finish a basement? Finishing a basement will definitely add high value to your home’s resell value, especially if designed with a half or full bathroom. The other good news is, a basement remodeling project is one of the easiest diy home makeover projects a novice can tackle with a helpful crew or by yourself. Not including the basement bathroom ideas, you can design, frame, and construct a new basement renovation for less than five-thousand dollars. Adding a half bathroom design with a sink and toilet will up that cost another thousand. With a fully-functional basement bathroom with luxury renovations like walk-in shower, Jacuzzi, and custom vanity cabinet, you’re looking at an additional two to three thousand dollars. The first thing to consider before calculating finishing costs is to figure out how much use the basement and bathroom will get. A cheap design plan to finish a basement is the framing costs. Depending on your design tastes and furniture layout, basement flooring and framing walls is easy and an excellent diy beginners starting place in home remodeling projects. Start out by drawing the floor plan on graph paper or a drawing software. Be sure to accurately measure the foundation walls and partitions to see how many two-by-fours are needed. 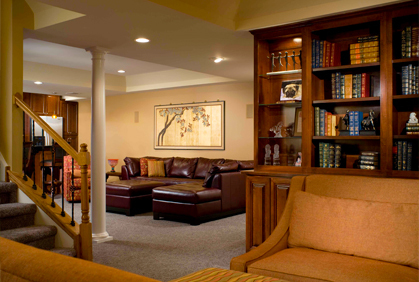 A basement is a great place to practice remodeling because no matter what, the foundation walls will never change. When framing the walls, make certain the walls are squared off properly. .As we indorse with all our home design ideas, a well-designed layout with both natural light and fixtures enhances functional basements.